Yesterday, IPCPR and Cigar Rights of America filed a joint comment in response to the U.S. Food and Drug Administration’s ongoing review of how it should define and treat premium cigars. This process, known as an Advanced Notice of Proposed Rulemaking – marked a major milestone for premium cigar retailers, manufacturers, consumers and the industry at large. It was an opportunity for IPCPR, CRA and other stakeholders in the industry to provide another evidentiary based justification for why premium cigars should be regulated differently from the direction the agency has thus far taken. (Miami, Fla.) - The Crux Cigars Limitada IPCPR Show Exclusive will soon be in retail humidors. The company announced today the cigars are in their Miami warehouse and will begin shipping immediately. Tamboril, D.R. : Marrero Cigar Co. is proud to announce the opening of a new cigar factory in Tamboril D.R. with cigar artist Felix Gonzalez, the Creator of the most beautiful cigars in the world. Their production called “Artistico Salomon” will be of 250 boxes 1st edition. It will be a beautiful 10 count box with 10 distinguished cigars in each box. Marrero Cigar Co. is a premium cigar manufacturer making cigars in Costa Rica and Dominican Republic. Hiram and Solomon Cigars is once again proud to announce an expansion in one of our high caliber cigar lines. 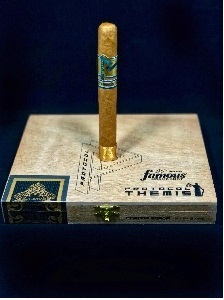 The Shriner, also known as, “The Holy Grail” is NOW AVAILABLE FOR IMMEDIATE RELEASE in a Petit Corona 5.5x42 size! Made and constructed with the same high quality standards you have come to know from our cigars. The Shriner Petit Corona will come packaged in 20 count split top cabinet boxes similar to other cigars in our company’s portfolio. 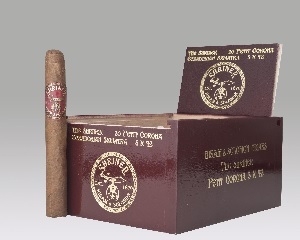 The Shriner Petit Corona will be featured along with our other high caliber cigars at this years International Premium Cigar and Pipe Retailers (IPCPR) Association trade show, in Las Vegas, NV this coming week! Hiram and Solomon will be at Booth #333, stop by and see what makes our cigars great! Only 500 25-count boxes of each of these line extensions were produced. 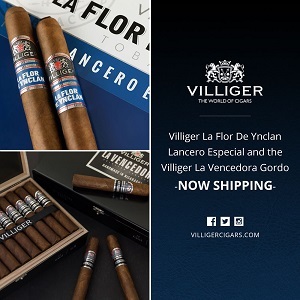 (Miami, Florida) August 28, 2018— Villiger Cigars reports the newly announced Villiger La Flor De Ynclan Lanero Especial and The Villiger La Vencedora Gordro (6X60) is on schedule to be shipped this week. Both products are line extensions that were showcased at the 2018 IPCPR in Las Vegas this past July. (Miami, Fla.) - Crux Cigars today announced the expansion of their national sales efforts with the hi-profile hiring of industry veteran Roy MacLaren as their new Executive Vice President of Sales. The hiring is effective immediately, and Roy will join the Crux Cigars Company at this weeks 2018 IPCPR trade show. 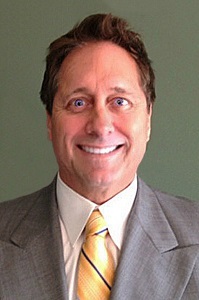 Roy has over 20 years senior executive experience in the premium cigar industry. 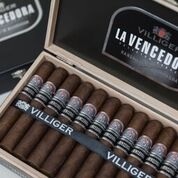 Previously as the President of Villiger Cigars of North America, he successfully restructured the U.S. operation. In addition, Roy has been both the Vice-President of Sales for Gurhka Cigars and U.S. Area Sales Manager for Davidoff of Geneva Cigars, where he oversaw each company’s impressive sales growth. Punch beckons you to the dark side without fear of losing your soul with the release of its newest collection called Diablo. Springfield, VA (June 30, 2018) – Omar de Frias is proud to announce the debut of Navetta Inverso at this year’s IPCPR. Translated “inversed shuttle” in Italian, Navetta Inverso is all about us using the same tobaccos we used under Navetta but literally inversing all the tobaccos. The result of this change was incredible. “It does not seize to amaze me how one leaf of tobacco can change a blend entirely. In our case we changed it all.” Said de Frias. Navetta Inverso features an habano Nicaraguan wrapper Ecuador binder and Dominican and Nicaragua filler. “Reality is when you use well fermented and aged tobaccos, the likelihood that the cigar will be great is high” said de Frias. Navetta Inverso is manufactured at Joya de Nicaragua and will be available for shipment in September. Omar de Frias worked at NASA for 12 years prior to leaving to focus full time on Fratello. Springfield, VA (August 20, 2018) – Omar de Frias is proud to announce the Fratello Oro Churchill as an exclusive cigar to Leesburg Cigar and Pipe. 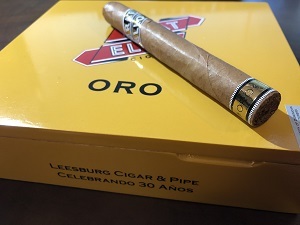 Located in Northern Virginia, Leesburg Cigar is celebrating 30 years in the premium cigar industry with this exclusive. Earlier today, D.C. District Court Judge Amit Mehta issued an injunction prohibiting the U.S. Food & Drug Administration from enforcing its warning label requirements on cigars and pipe tobacco. The warning label requirements for packaging and advertising were slated to go into effect on August 10th. Judge Mehta’s order delays any enforcement of the requirement until at least 60 days after the conclusion of an appeal currently underway. No date has been set for a court to hear the appeal. Published August 21, 2018 - an IPCPR2018 event feature. Y.A.Berra, a Miami based company has redesigned the traditional guayaberra shirt to modern wearers. The fit has been changed, to give a different feeling to the shirt, It also comes in a variety of colors and patters that allow the wearer to make a fashion statement and personalized. The company's founder was present at the IPCPR show in Las Vegas in July and sat down for an interview with CW's Jeff and Brenda Slatton. Click Read More to see the video! Island Lifestyle Importers is introducing two new Tommy Bahama lighters at this year’s International Premium Cigar & Pipe Retailers (IPCPR) Convention in Las Vegas. The “Longboard” is a sleek triple-flame pinpoint torch pocket lighter available in two color combinations: white or blue body on a gunmetal frame. It has an oversized capacity fuel tank with a large fuel window. An easy-adjust fuel wheel and pull-down trigger mechanism round out the ergonomic feel and function. The suggested retail is $59.99. The “Rocker” is a dual torch flip-top pocket lighter with a fold out cigar punch on the bottom. It includes a large capacity fuel tank with easy-adjust fuel wheel. The side squeeze trigger mechanism makes for easy function. It is being released with a black body on gunmetal frame and a blue body on a gunmetal frame. The suggested retail is $49.99. “These are great lighters that offer high value features at a fantastic price-point. The feel and look are all about the Tommy Bahama lifestyle. 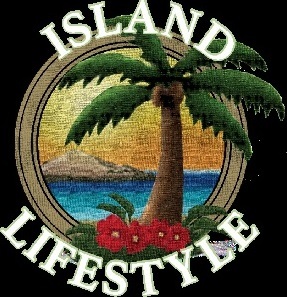 We are really excited about these new additions.” said Ryan Frailing, Vice President of Island Lifestyle Importers. Springfield, VA (July 3, 2018) – Omar de Frias is proud to announce brand new packaging for the Fratello Bianco and the Fratello line of cigars. With this new packaging Fratello Seeks to better align its footprint across humidors, yet our blends will continue to be the same. Along with this change the original Fratello line launched in 2013 will receive a new name. “We had envisioned this change a long time ago. When our customers placed their orders, they would always refer to the original blend as the classic. 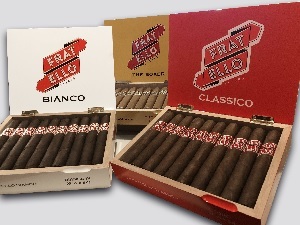 Fratello Classico and Fratello Bianco’s new packaging will be featured at this year’s IPCPR.” Said de Frias. 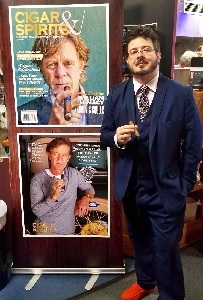 Hiram and Solomon Cigars would like to welcome and introduce Brother Nick Goss to our Team as our newest Brand Ambassador. Nick will be covering all of New England and visiting a store near you soon. We believe that Nick’s experience and character will be a very positive factor towards reaching our Goal of becoming the Brand of choice for many experienced Cigar Smokers. Welcome to the Team Nick! 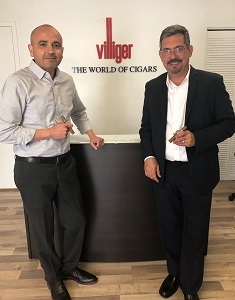 (Miami, Florida) July, 3, 2018— Villiger Cigars continues its growth in the North American market as they announce today that Hector J. Pires was promoted to the position of National Sales Manager for Villiger Cigars North America. Hector Pires is being promoted from the position of South Eastern Territory Manager, (now being managed by Villiger new hire Roger Peña). Pires begins his new role immediately.